Abraham Bosse (1602 or 1604 – 1676) was a French artist who was primarily a printmaker but also painted some wonderful watercolors. Bosse’s father was a tailor and many of his works feature clothing in a high level of detail. He was apprenticed to the publisher Melchior Tavernier (1564-1641) in 1620 and his first published etchings are from 1622. He married Catherine Sarrabat in 1632. The couple lived in Paris but we've found no mention of whether or not that union produced any children. 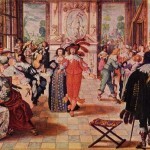 Bosse was one of the original instructors when the Académie Royale opened in 1648. He was expelled in 1661 for his opposition to Charles Lebrun (1619-1690), Charles Errand and Henri Testlin. He then founded his own private academy but under pressure from Lebrun it was closed in 1662 on the orders of a royal decree. He completed around 1,600 etchings often depicting daily life, religion, literature, history, fashion, technology and science. Many of his etchings were used as book illustrations. Many of his engravings depicted historical and Biblical events. However, he dressed the people in modern dress and in contemporary settings. He wrote Traité des manières de graver in 1645. 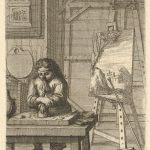 Treatise on the Ways of Engraving is considered the first printmakers manual and was one of several of his books which would be translated into a number of languages. 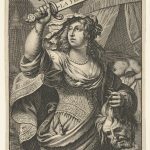 An art professor from the University of North Carolina, Carl Goldstein, has written a book about 17th-century French printmaking. Bosse had a reputation of being tireless in his pursuit of the best techniques for the craft. It would make sense then that Goldstein has written a book which studies the career of Abraham Bosse and how he influenced the medium. It's available on Amazon – Print Culture in Earl Modern France.